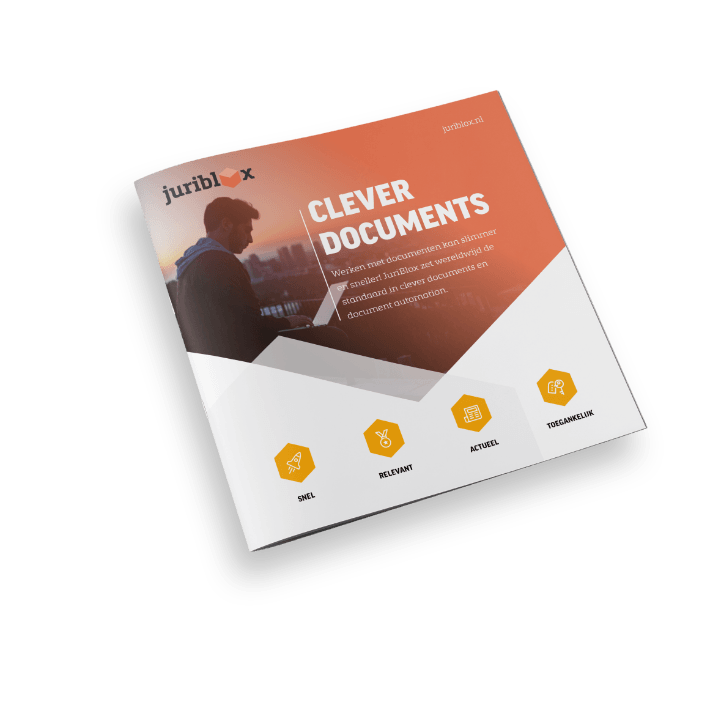 With the solutions that it offers, JuriBlox sets the norm for smart legal documents. Almost any contract or advice – no matter how complex – can be automated without losing any flexibility for customization. JuriBlox saves you from time consuming manual labor, enhances efficiency significantly and makes document creation less error prone. Quickly buy a legal document with access to over 60 up-to-date legal documents. Our wizards make sure that the document is tailored to your business and activities. JuriBlox Legal Suite automates all your legal documents. Dynamic templates form the basis for all legal documents that your co-workers create by merely completing a wizard. In addition, we offer ready-made and up-to-templates in several legal fields. JuriBlox Privacy simplifies your compliance with the GDPR’s administrative obligations. The software makes your data processing activities transparent and generates privacy advice that is tailored to your organization. How can we improve document flows and creation even more? To answer that question, we do experiments in JuriBlox Labs. In cooperation with customers, we translate the latest trends and developments in legal technology into practical solutions. Want to know all ins and outs of our innovative legal solutions?